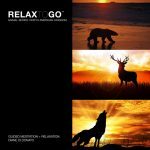 DEER This guided meditation is infused with Celtic rhythms, harp, fiddle, flutes and gentle nature sounds. The energy and powerful message of the deer is gentleness with others; but mostly with yourself. Deer’s power is unconditional love and compassion, especially to oneself. Tune into your inner thoughts and ideas, they are connected to a higher frequency. Guided mediation and meditation music is relaxing for your body, emotions, mind and soul. 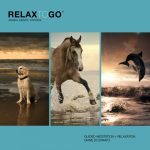 I have created this series to help you easily relax. In only 15 minutes a day, you can relieve stress and integrate healthy benefits for your overall well-being. This is a great tool for meditation, personal development, empowerment, inspiration, and spiritual growth. You can easily release stress and worry replacing these low energy feelings with inner peace happiness and better health now. It’s yours and always has been. Want to learn how to meditate easily? These guided meditation audios are a unique and effortless way. If you find it difficult to ease your mind, we have composed deep relaxing music. 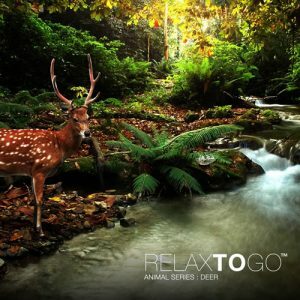 You will drift blissfully as you listen to Diane Di Donato’s soothing voice and hear the gentle sounds of the deer. The velvety soothing vibrations will positively stimulate your psychological and physiological being. Imagine yourself in a Zen garden and there is the statue of the Goddess Quan Yin, she represents compassion in the east. The garden is a minalism design, making your life easier, and open to receptive guidance. 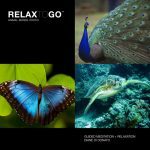 Enjoy all of the 20 CD’s in the Relax to Go™ collection. Experience deep meditative, restorative peace in minutes. Optimum health in your mind, body and spirit. This entry was posted by Relax To Go Admin. Bookmark the permalink.